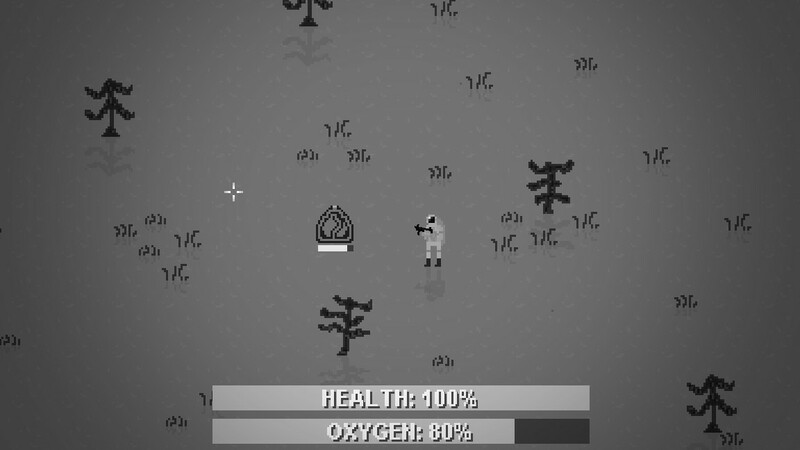 In this game you explore an uninhabitable and abandoned planet that has been overrun by disgusting fly monsters. 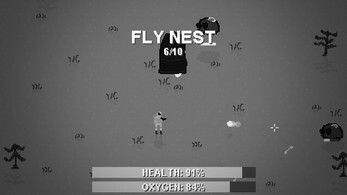 Using your machine gun, you must find and obliterate three fly nests located around the area, in which these nests spurt out hordes of maggots and flies which you need to take out. 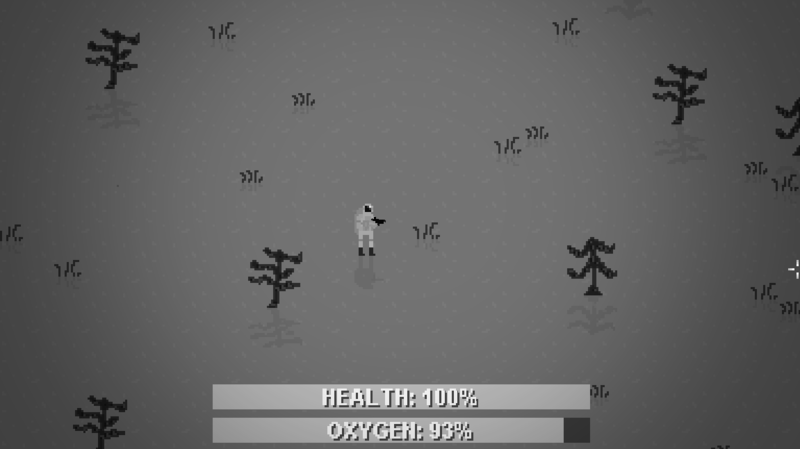 As you begin to explore around the map, you'll notice that your player has an 'oxygen level'. Due to the flies, the air around this planet has become contaminated, therefore causing the main character to need a clean oxygen tank. Your oxygen level will gradually decrease, and if it gets too low, your player will suffocate and die. 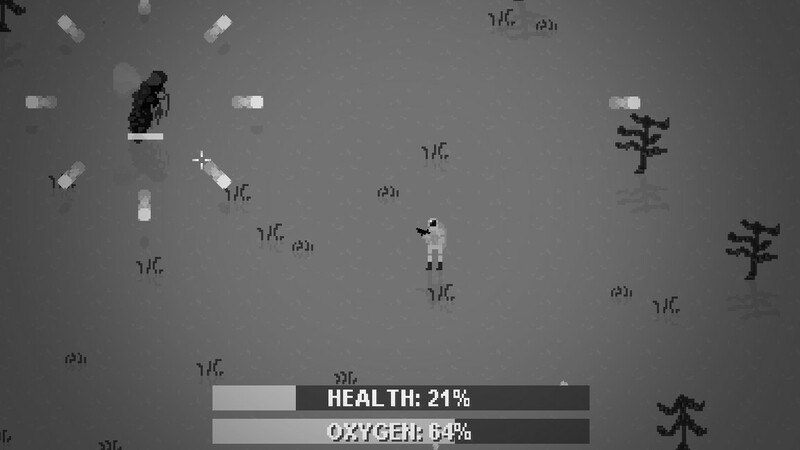 If you want to stop this from happening, you can collect 'oxygen packs' that drop off of enemies. Around the map there are also oxygen tanks, which you can break open to give yourself more oxygen. This game was made in 72 hours for Ludum Dare 40. 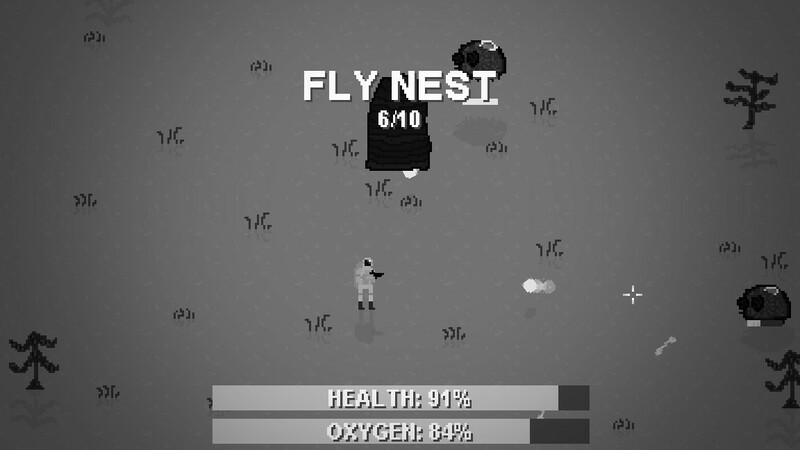 This game was built in GameMaker Studio 1.4.
if its uninhabitable then how do the flies survive???? That's a good point, hahahaha.